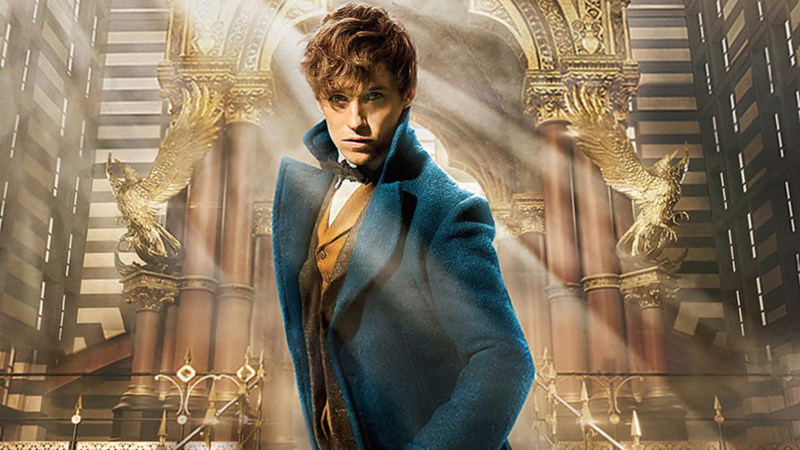 As filming begins today on the sequel to Fantastic Beasts and Where to Find Them, Warner Bros. has released summary which doesn’t tell us too much we didn’t know and a cast list that’s a bit more revealing. “Revealing” in that it includes a bounty hunter and a wizarding circus. The new synopsis restates a few things we knew/guessed. We knew about the return of the franchise to the UK and the trip to Paris. And no one will be shocked to learn that Grindelwald (Johnny Depp, which is still awful and I still wish that Colin Farrell would somehow get to come back) has escaped since the end of the last movie. J.K. Rowling wrote the screenplay for the film, which opens in 1927, a few months after Newt helped to unveil and capture the infamous Dark wizard Gellert Grindelwald. However, as he promised he would, Grindelwald has made a dramatic escape and has been gathering more followers to his cause—elevating wizards above all non-magical beings. The only one who might be able to stop him is the wizard he once called his dearest friend, Albus Dumbledore. But Dumbledore will need help from the wizard who had thwarted Grindelwald once before, his former student Newt Scamander. The adventure reunites Newt with Tina, Queenie and Jacob, but his mission will also test their loyalties as they face new perils in an increasingly dangerous and divided wizarding world. The film expands the wizarding world, moving from New York to London and on to Paris. There are also some surprising nods to the Harry Potter stories that will delight fans of the books and film series. But more interesting than that was actually the list of characters that accompanied the plot summary. We’ve obviously got Newt (Eddie Redmayne), Tina (Katherine Waterston), Queenie (Alison Sudol), Jacob (Dan Fogler), and Dumbledore (Jude Law). Plus, we’ve got the “mysterious return” of Ezra Miller’s Credence; Zoë Kravitz as Leta Lestrange (the girl from Newt’s photo in the first movie); Callum Turner as Theseus Scamander, who was also briefly mentioned in the first movie as a war hero; Kevin Guthrie as Abernathy, who was once Tina’s boss as the MACUSA; William Nadylam as a wizard Yusuf Kama; and Ingvar Sigurdsson as bounty hunter Grimmson (oh please, let this be a Grimm’s Fairy Tales reference). I think we can guess who the bounty hunter is chasing down. Most interestingly, from a plot perspective, is that Darri Ólafsson will Skender, the man who runs a wizarding circus and Claudia Kim will be the featured attraction at that circus. If the search for Grindelwald takes the crew to a magical circus, nothing good can be coming. Grindelwald’s focus of the last movie was to find an Obscurus, a powerful Dark force which takes over young, magically-repressed children, so that he could use its power. I wonder if Kim’s character is similarly powerful and vulnerable to Grindelwald. We’ll find out when the movie is released on November 16, 2018. Okay, Who Had Jude Law in the &apos;Young Dumbledore&apos; Pool?